Dew Point is the temperature at which the water vapor in air will form dew. A higher dew point means that it is more humid out. When the dew point is equal the air temperature the relative humidity is 100%. 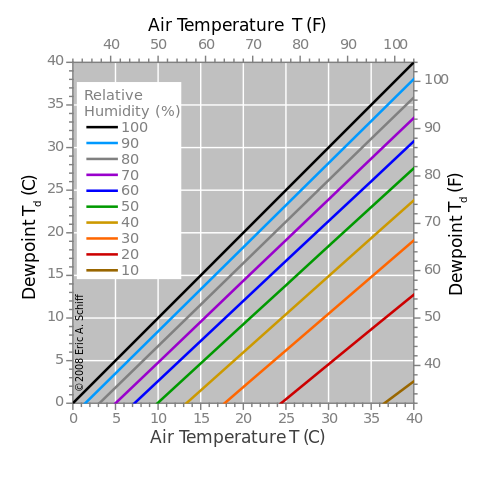 The graph shows the dew point for different relative humidities in relationship to the air temperature.